Did you know black animals are less likely to be re-homed than any other colour pet? Black pets have seen to be the least adoptable pets and are more than often the ones that get left behind at re-homing centers. The get overlooked due to many reasons, in favor of lighter-colored animals. The event was originally created to debunk the myths about black dog syndrome after animal rescue centers reported black dogs were often passed over in rescue. And help more black pets find new homes. 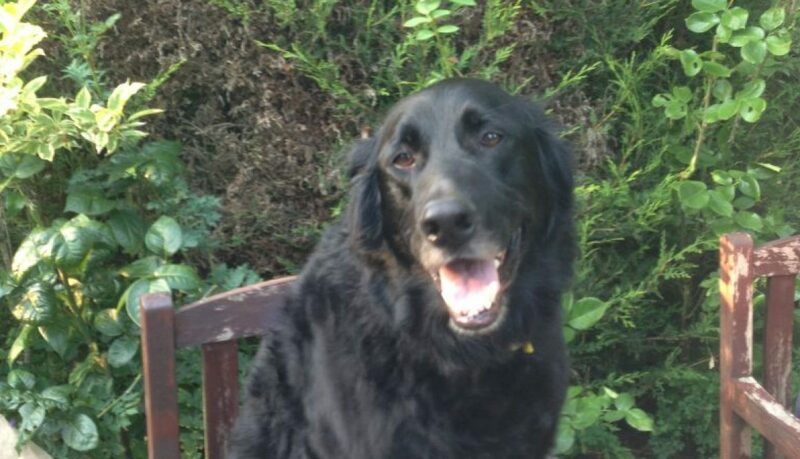 I have owned a black dog who I adopted from Dogs Trust, he was bloody awesome and I have many pictures of him, He wasn’t only black, but a big dog too. I do agree that some dogs were unsure about him, but would they still reacted that way if he wasn’t black? Its hard to say, yes it is true its harder for other dogs to read their facial expressions, but they may have just been intimidated by his size. 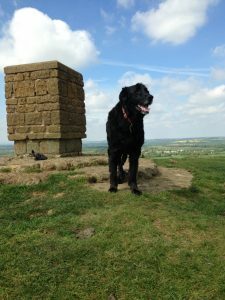 So today let celebrate all of our black dogs, share them on social media and help more black dogs find new homes – maybe meet up with your friends today for a black dogs walk. I used to be filled with dread at this time of year and used to start thinking about it from the end of August, as unless you have lived with a dog who is fearful of fireworks I don’t think you can fully understand how distressing it is to them. 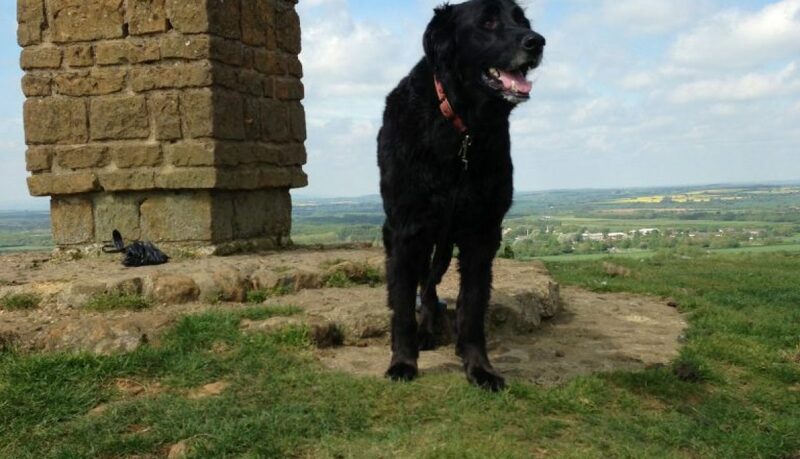 My dog Tye, who I unfortunately lost in May at 10 years old, was so fearful of them and used to shake and become very distressed and he just wouldn’t settle or even go outside after it went dark. He wasn’t always this way, but it got worse as the years went on (which is very common) so I tried many various complimentary and prescribed medicines to try and help him through this time of year, and again at New Year. After reading other people worries and them asking what other people have tried and what they put in place, I wanted to share what I have tried over the years. Ideally, it is best to try and to desensitise your dog to the noises, ideally starting either when they are a puppy or when you adopt your dog. You can also do a desensitisation programme to an older dog, you use the same method but need to be mindful of how you begin it as they may already have a fear to the noises. You need to be mindful and keeping your dog under threshold at all times as you don’t want to be frightening them with the noises. You want to start the CD very quietly, so that you can almost not hear it – don’t worry your dog’s hearing is much more sensitive to ours and they will be able to hear it! Whilst you are playing the cd you can play games with your dog or practise some training or teach some new tricks to engage your dog, this will help your dog associate the noises with nice things happening. Do not leave the cd playing and leave the house or room, you need to be in control at all times. When you are happy that your dog can deal with the sounds, you can gradually begin to turn the volume up over the sessions – always keeping your dog under threshold. 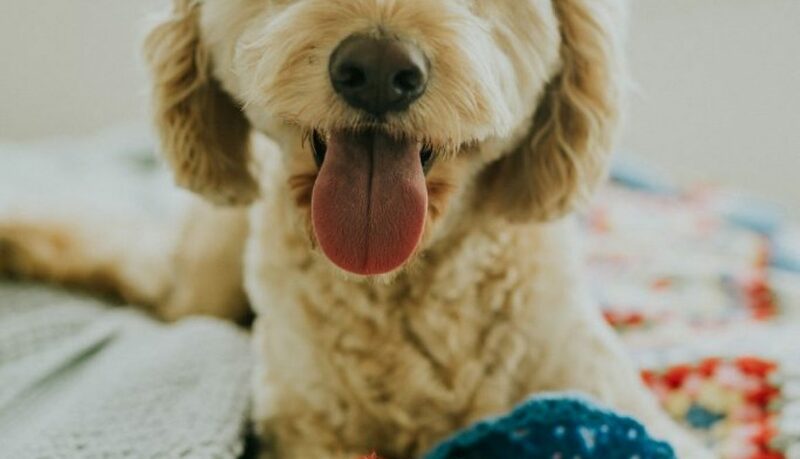 If at any point your dog does not look comfortable, loses concentration on what you are doing, shows any body language that shows they are uncomfortable (for example – pacing, lick licking, panting) you have just turned it up a bit too loud too soon. Not to worry just take a step back to a lower volume for the next session. If your dog finds it too hard with the player in the room, you can start with it playing in the hallway, with you and your dog in the lounge with the door shut, as this will muffle the sounds more if required. It is also a good idea to generalise the noises to outside once you have got to a reasonable volume inside and to generalise the noises around your home. It is now a bit late to start a desensitisation programme or to do some counter conditioning for next weekend, but you can start it ready for New Year and for November next year. Your dog also may be fearful of other noises, such as the hoover, traffic or gun bangs – you can also use the desensitisation programme for these noises. Thundershirt (http://www.thundershirt.co.uk/) and body wraps, which are known to have a calming effect on anxious or excitable dogs and may help them to overcome various behavioural problems and help them deal with fireworks. I bought one for Tye before they became more well-known and found he would come to me to be put on and would happily wear it. It is best to get them used to the Thundershirt with no noises to being with so that they associate wearing the Thundershirt with ‘nice ‘things – so play games whilst they are wearing it or do some fun training. Magicalm – ‘A soothing formula designed to help promote a sense of calm and well-being in dogs.’ (https://www.healthspan.co.uk/vetvits/dog-supplements/magicalm) it helps promote a sense of calm. I have used this to success for reactivity as well as fear of fireworks. I currently have my puppy on Magicalm as a preventative measure (she not currently afraid of fireworks, but it would not do her any harm to take this natural supplement). As prevention is easier than cure. Adaptil – (http://www.adaptil.com/uk)This is based on what a mother would produce to give reassurance to her puppies, it is a synthetic copy of her pheromone. It comes in various forms – a plug in, collar, spray and tablets. I have personally not used the tablets but have in previous years had some success with the collar and use the spray on a regular basis for behaviour consultations and use it for my puppy whenever she has been fearful to help give her reassurance. I used to spray it onto Tye’s Thundershirt and onto his bed. I have used the pulg in, but not to great effect as i have large rooms in my home with high ceilings, so i would expect it would work better in smaller rooms. Pet Remedy – (http://www.petremedy.co.uk/) this is like Adaptil but is a blend of essential oils which is Valerian based to help calm and relax you dog (it can also be used on cats and other animals). I have had success with using this as well and spray it onto their bed or blankets that they use – never directly onto them. Dorwest herbs – (http://www.dorwest.com/products/SV/scullcap-and-valerian-tablets-for-dogs-and-cats)Valerian and Skullcap combination – I have personally not used these directly from Dorwest herbs, but when you look at the ingredients of many complimentary therapies you are likely to see Valerian used and I know people that have used these to great effect. It is one I was looking at trying for Tye this year. Zyklene – (http://www.zylkenepet.co.uk/) have heard good results from this. It contains a natural product, derived from casein, a protein in milk. YuCalm – (http://www.lintbells.com/yucalm-dog)I do not know anyone who has tried this, but it is natural supplement which supports calm behaviour while helping reduce stress. If trying any complimentary medicine and your dog is already on medication, please do check with your vet that it is ok for your dog to be taking the complimentary medicine. Please make sure you discuss with your vet before combining supplements in case of contradictions. I have also tried using diazepam, which I was prescribed from my vet which is a muscle relaxant. It can be used as a short-term sedative for fear of rarely encountered situations, which only lasts a few hours. It is a sedative with anti-anxiety, muscle relaxing and hypnotic properties which can be given before, during or after a fear event. But, it does not relieve symptoms & can make them worse and I felt he knew what was happening but was unable to do anything so would personally not recommend and would not use again. Ensure all windows, doors remain closed during the season – to prevent them escaping (also to reduce the noise) and close all curtains. 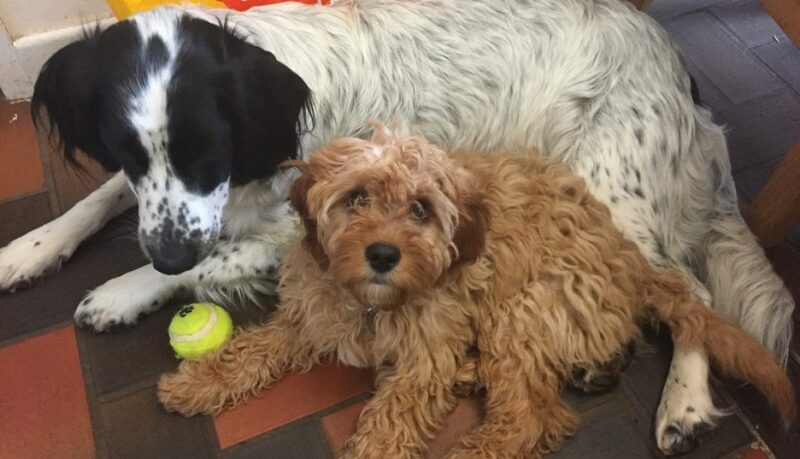 Provide distractions – this will vary from dog to dog, as some dogs will not be distracted by the tastiest chew or a fun new toy but will work for others. Play games with your dog if they will engage with you and you can make use of a frozen kong, an antler or use a snuffle mat. Chewing and licking is pacifying for a dog. Turn on the TV loud or have the radio or music on to drown out/muffle the sound of the fireworks and to be a distraction. Do not punish your pet, this will only make your pet more distressed. Stay home or make sure there is always someone at home with your dog – they should not be left on their own at this stressful time. Walk your dog early before it goes dark to prevent the chance of any fireworks going off whilst you are on your walk and keep your dog inside during the fireworks. If your dog has to go outside to the toilet – take them in the garden on a lead to prevent them being frightened by a bang and running off. My dog wouldn’t even go outside after 4pm until the next morning so preferably keep them inside as they can associate to being outside to being scary. Ensure your microchip is up to date and your dog has a correct ID tag on their collar. If your dog does escape or they run off, it will be much easier for you both to be reunited if this information is correct. Let them relax where they feel comfortable. Tye just wanted to be close to me, not wanting any fuss but wanted reassurance from me. Please also remember to comfort your dog if they are in distress if they come to you, or leave them alone if they so wish. You can comfort your dog; it will not reinforce their fear! Are you having trouble with teaching your dog to go outside to toilet? Were they doing really well to begin with and you feel you taken steps back? Getting frustrated and feel like you must be doing something wrong? It takes time to toilet train your dog, it doesn’t happen overnight! Every dog is different, so just because the dog down the road got it within a week (I’d be surprised!) doesn’t mean your dog will. Being patient with your new puppy will go a long way. Remember we need to show them what to do, just like you do with a child! Young puppies, up to 4 months old, just don’t have a big enough bladder or have developed enough to physically be able to hold it in! Take them outside after play, when they wake up, after training and after eating – you will soon see a routine of when they need to go. Keep an eye on them! If you can’t pop them into their crate or a puppy pen with a tasty chew to manage the situation. Watch their body language – they will soon show when they need to go – such a spinning! Take them out every hour and wait for them to go until you notice a routine – less if needed! Put them toileting on command – every time they go for a wee ‘hurry up Henry, hurry up’ this will make them associate the word ‘hurry up’ with going for a wee. Always remember to reward after! Have a pen in the garden – so they know when they go in the pen its time to toilet and it stops them pottering around the garden! Don’t ever shout or tell your dog off for toileting inside – as they may end up being frightened of toileting in front of you. Accidents happen! Just clean it up with an ammonia free cleaning product and keep a closer eye on your pup! DO NOT rub their nose in it! this teaches them nothing!!! Teaching your dog the basic commands will give you good groundwork to build on for future activities with them. Start teaching them at home inside with low distractions and gradually build up on the distractions. There are always different ways of teaching the basic commands, I have just given a few examples of ones I mainly. A reliable sit not only encourages good manners but it can also help take control your dog in certain situations. It can be used to help control feed time, putting on a lead, help with jumping up, greeting people and dogs and for control at vets and groomers. It is the easiest and most used exercise in dog training and forms the basis of many other exercises. Get your dog’s attention and let him see you have a treat. When he is close, allow him to niff the treat but don’t allow him to have it. Put the treat at the end of your dog’s nose and slowly move you hand up and over the dog’s head. He will raise his head to keep it with the treat, as he does this his bottom will naturally go towards the floor. As soon as his bottom reaches the floor, immediately treat. Things that can go wrong, you have the treat too high and he will jump, too low he may go into a down. Always remember to using verbal praise as well. Remember to use your release command to let him know he has finished his job. He may chew at your fingers for the second reward, don’t worry we will be introducing a leave command to stop this. Use this command throughout your daily life to help you gain control of your dog. Many short sessions are more productive than one long one. A good time to use this command is at feeding time and when going through doorways. This command is a great aid for control, general house control and will help calm and relax him in certain situations. Be mindful this is a submissive position and not all dogs like going into the down. It is a useful position to use to get your dog to lie down if you are busy cooking, eating or watching tv and can be used at the vets and groomers. You can also use this when you teach your dog to go to his bed or crate. It also forms the basis for many other exercise and is useful to teach your dog an instant down off lead in further training. 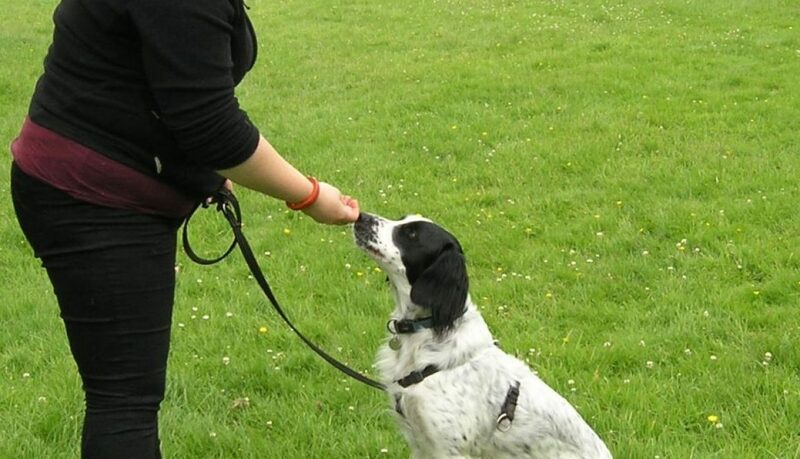 Start your dog in the sit position – on or off lead, but eventually you’ll be able to do this position form a stand. Slowly move your hand downwards aiming for in between their paws on the floor. As soon as his chest and bottom have touched the floor, reward and praise. Repeat this until he is consistently going into the position. When he is on the down, you can give him another treat and tell him ‘good down’, as this will strengthen the position. Think about the floor surface you are asking him to lie down on and if he feels comfortable where you are asking him to go down as it is a submissive position. If you move the treat too fast or if it is too far away from him, he will probably just stand up. If he steps back, you probably have the treat too close to him or he may pop his bottom in the air. You may need to adjust your hand position slowly until you find the correct position to entice the dog into the down position, don’t be afraid to experiment! If you are having these issues you can also use your leg for him to go under. Sit on the floor with your leg bent out in front of you, lure your dog under your knee and he will need to drop down into position to reach the treat, then reward as he goes into position. This command comes in very useful at the vets and groomers so they can inspect your dog. 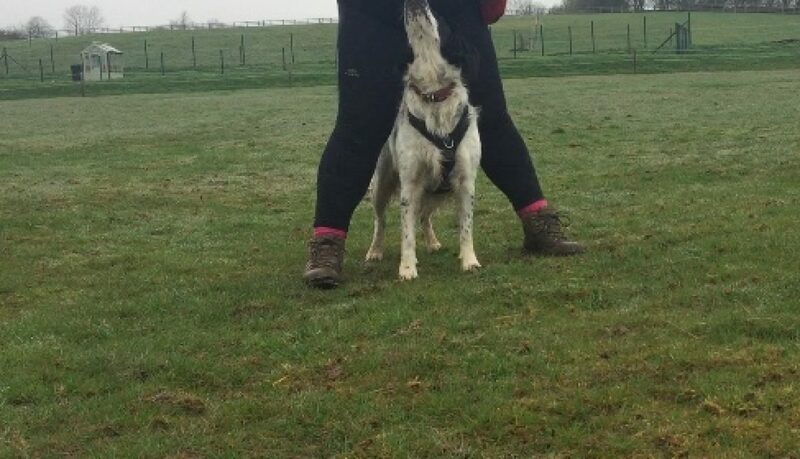 It is useful to get your dog accustomed to be inspected by strangers whilst he is in the stand position as this will happen whist out on walks. It is also the basis for many other exercises. If working your dog from a sit, have the treat at the end of his nose. It may be helpful to have him on lead to give you more control. Slowly draw the treat away from him in a straight line away from his nose, this will draw him into a stand. 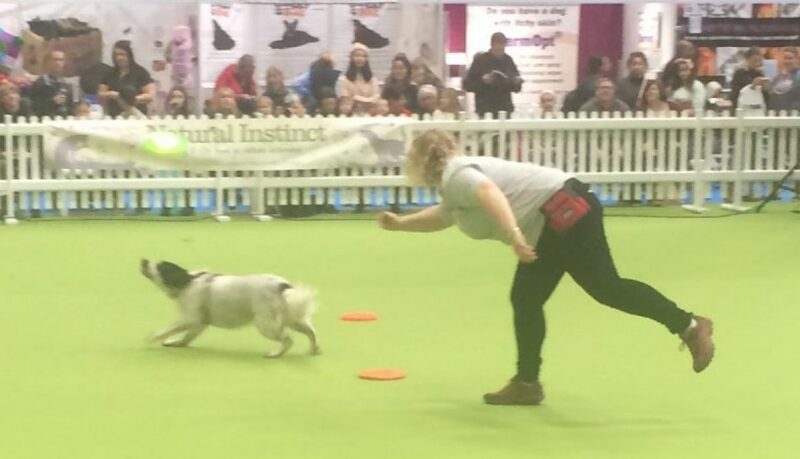 Be mindful of how far you move your hand, as the dog may push the hand and you go round in circles or he will just keep walking, stop moving your hand as soon as he is in the stand position. 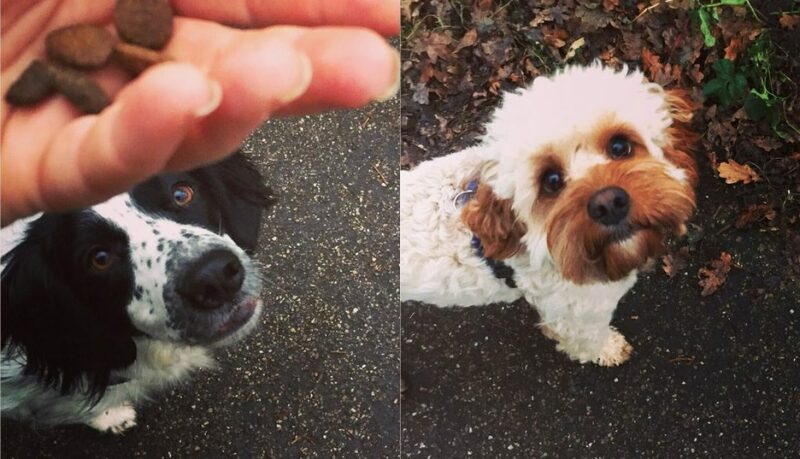 If you move your hand upwards or your dog may jump up to get the treat. Build these commands into your daily routine and gradually build up distractions. 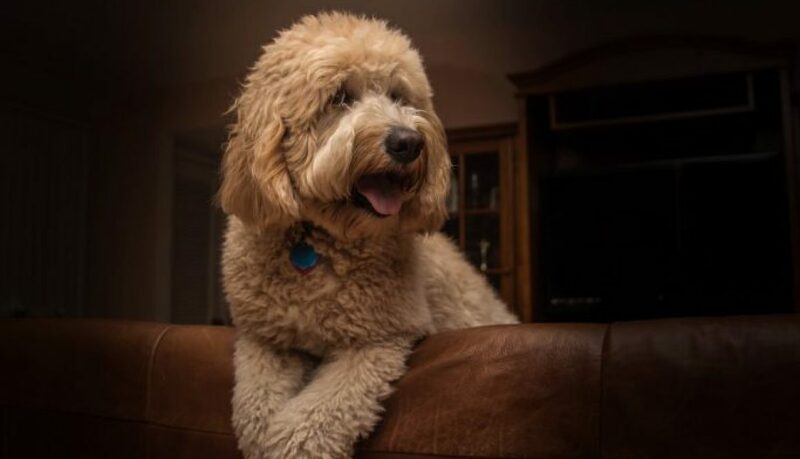 To progress, once he is doing the commands reliably you can increase the time between when you ask him to sit/down to when he receives the treat, and then move onto varying your reward system so he doesn’t always get a treat, but sometimes he does. Avoid repeating the command, i.e. 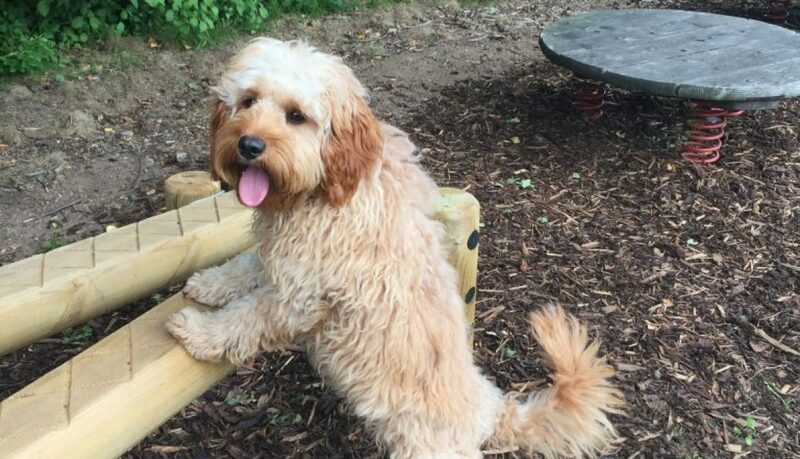 ‘sit sit sit sit’ as this will only teach him to sit when you repeat the command. Once you are confident with all these three positions, you can link them together into a routine to help strengthen the positions. Do not do a set routine, as your dog will begin to guess which position you want, make it random and don’t become predictable as you may lose control. Begin randomizing the rewards and don’t create a pattern to which position receives a treat. Your dog will also get faster the more you do this! Doing the above will help strengthen the positions.